A Group of Inquiring Minds and Encouraging Hearts! Women of all ages are invited to join us as we dig deeper into God’s Word and discover how to better relate it to our daily lives. 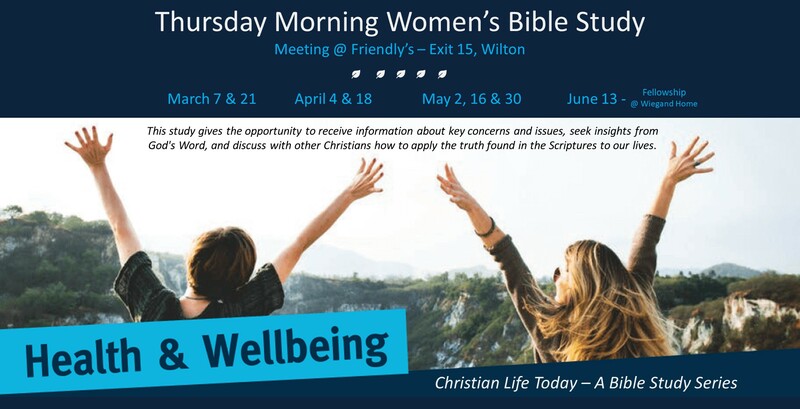 We begin our gathering at 9:30 am with breakfast (or just a cup of coffee) and Christian friendship and move into a time of Bible study and discussion. There is no need to RSVP, just come along and be a part of the fun—and be sure to bring a friend! Experiencing God's Peace, a study on the New Testament book of Philippians.